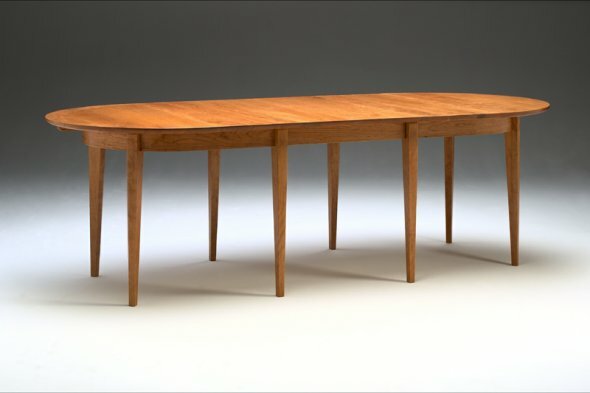 Ming Shaker Oval Extension Table: (recessed skirt version pitured) It is pictured here with one leaf inserted. Overall dimensions are: 72″L x 42″W x 30″H closed with two 22″ leaves. This is the 42″ wide version, the other standard available being 48″ wide. This table has a recessed skirt to accommodate “pushed in” arm chairs. See the photo of the Ming Shaker Round Table for an alternative skirt arrangement.